I read a previous post from last year stating that the Mugen 5 was better, but what about the H7 with Quad Lumi? Does the extra heat pipe of the Quad Lumi push it above the Mugen 5, or is the Mugen 5 still superior? And to throw in another element, what about the Scythe Fuma vs the Scythe Mugen? And will the RAM get in the way of any of them? 2c-4c difference between the normal and quad versions so it really isn't worth the extra money. Note: Test bench so best case for cooling. The problem with the Lumi though is since they didn't change the size of the fin array you can thermally overwhelm the cooler under heavy loads because you don't have the area to dissipate the heat. Note: Testing done in a case which changes performance. And to throw in another element, what about the Scythe Fuma vs the Scythe Mugen? With the new mounting they perform similarly 1c-2c apart on average, but the Fuma is louder using two fans. Sorry for the extra trouble, but just edited in my RAM on my motherboard. I noticed that there are small heatsinks on top of my RAM. So since the Lumi has that issue it's out. Thinking of getting the Fuma Rev.B. Do you know whether or not I will have clearance issues with it? For future reference, where can I check for this information? Thinking of getting the Fuma Rev.B. Do you know whether or not I will have clearance issues with it? For future reference, where can I check for this information? You will raise the front cooler fan 3-4mm, for getting the LPX Ram to fit below it. 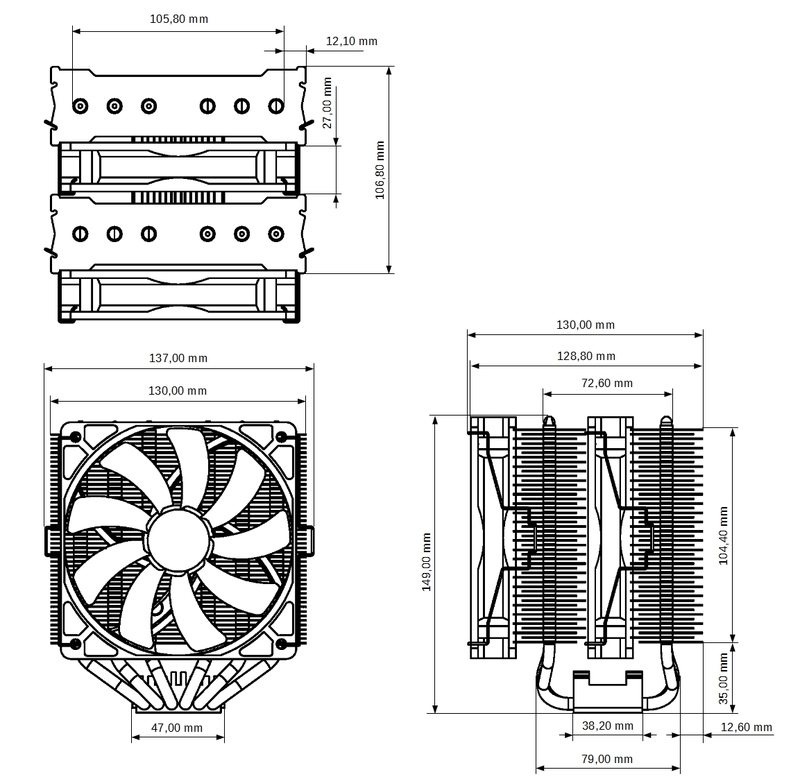 Last question, haha: I'm completely new to PC building so I don't know how this works, but will raising the front cooler fan by that much be easy? Is it just a matter of clipping on the fan (not sure if its "clipping" on) a metal bar higher or two? Basically just how do i raise the front cooler fan? That cooler has a flexible fan positioning system. There are fan clips, so you can align the front fan as you fit. By raising the clip upwards the fan does lift. All you need to do is run the second fan on the back of the tower. Ok, thank you! I will do this as a backup option if I cannot get mark's suggestion to work.